The Tri-City Trailblazers teamed up with various scientists onboard R/V ANGARI to connect with and study different marine environments. Youth and mentors from Palm Beach County Environmental Resources Management’s Tri-City Trailblazers came aboard R/V ANGARI to explore the Lake Worth Lagoon estuary and Atlantic Ocean firsthand. The morning was spent offshore, where 9 students worked with marine scientists from the Whitney Laboratory for Marine Bioscience to conduct plankton tows and then sort and identify the plankton they’d collected under the microscope. After lunch, R/V ANGARI rendezvoused with the Florida Fish and Wildlife Conservation Commission near Munyon Island to study Lake Worth Lagoon fish populations. The FWC Research Institute team seined and brought their catch to the vessel where participants helped identify, count, and measure each fish before release. On the return trip, the Trailblazers discussed the methods marine and environmental scientists use, the similarities/differences between the environments they had visited, and how everything they had learned may influence their future decisions. A special thanks to The Whitney Laboratory of Marine Bioscience and FWC’s Fish and Wildlife Research Institute for their support and contributions to this expedition. 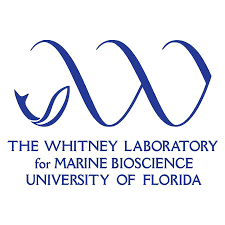 The Whitney Laboratory of Marine Bioscience is a full-time University of Florida research center for biomedical research and biotechnology. Founded in 1974, the Whitney Lab is dedicated to using marine model animals for studying fundamental problems in biology and applying that knowledge to issues of human health, natural resources, and the environment. FWC’s Fish and Wildlife Research Institute‘s work includes assessment and restoration of ecosystems and studies of freshwater and marine fisheries, aquatic and terrestrial wildlife, imperiled species, and red tides. The institute develops the information science required to analyze and disseminate research products and engages in outreach activities to complement all programs. Palm Beach County Department of Environmental Resource Management (ERM) administers a range of environmental programs designed to protect, preserve, and enhance Palm Beach County’s natural resources, both on land and water. Fresh drinking water, unpolluted waterways, a large tree canopy, and controlling mosquito populations provide a welcoming outdoor tropical experience to snorkel and dive, visit sandy beaches, fresh or saltwater fish, kayak waterways, hike in the woods all while viewing wildlife in their natural habitat. From Lake Okeechobee to the Atlantic Ocean, ERM’s programs cover the County. The Tri-City Trailblazers (TCT) is a new Glades-area youth outreach series that was launched by Palm Beach County Department of Environmental Resources Management (ERM) with assistance from Youth Services. The goal of TCT is to expose the Tri-City area (Belle Glade, Pahokee, and South Bay) to new “hands-on” outdoor experiences while educating and encouraging a positive connection with nature by exploring habitats close to their home, Palm Beach County’s Natural Areas, and Lake Worth Lagoon.